KARACHI: Sabeen Mahmud, the director and founder of The Second Floor (T2F) cafe, was shot dead in an act of target killing Friday night in Karachi. Sabeen hosted a session at T2F titled ‘Unsilencing Balochistan (Take 2)’ on Friday evening, featuring the chairperson of Voice for Missing Baloch Persons (VBMP), Mama Qadeer. This was the same session which was due to be held at LUMS a few weeks ago, but was cancelled at the last minute. Following the brutal attack, an FIR was registered at Defence Police Station under sections 302 (murder), 324 (attempted murder) and 7 under the Anti-Terrorism Act. The case was registered on behalf of Sabeen’s mother, who was critically wounded in the attack and is admitted in hospital. Sabeen, along with her mother, left the premises of T2F nearly an hour after the session had ended, around 9pm. Travelling in a white Suzuki Swift, they reached the Defence Central Library traffic signal when armed motorcyclists intercepted them from both sides and opened fire. Sabeen was shot four times and died on the spot, while her mother was shot twice. They were rushed to the hospital, where Sabeen was pronounced dead. Her mother was shifted to the Aga Khan University Hospital for treatment. Inquiry officer Muhammad Arshad confirmed to The Express Tribune that the attack on Sabeen was an act of target killing, adding that the police were investigating the case from various angles to ascertain the motive behind the incident. Having ruled out robbery, sources have said investigators are trying to determine the motive of the killing through various angels. Further, they also said that Sabeen’s name, along with the names of some journalists, was included in a hit-lift combined by militants, which was released by intelligence agencies in January. They added that Sabeen had been receiving threats since the past six months, with the most recent one on April 22. Her driver Ghulam Abbas told the police that at least four suspects in a white car were following their car, while armed motorcyclists opened fire on Sabeen. Reports say a 9mm pistol was used in the incident. A large crowd of family, friends and well-wishers gathered outside the Jinnah Postgraduate and Medical Centre (JPMC) mortuary where Sabeen’s body had been brought for a post-mortem. JPMC’s joint executive director Dr Seemin Jamali said that Sabeen’s postmortem was carried out at the hospital’s mortuary. According to the post-mortem, Sabeen was shot twice in the chest and received one bullet each in the face and neck. Doctors said that the cause of death was the bullet she received in her neck. Law enforcers reached the site of the attack to collect evidence. Officials said they had recovered empty shells of bullets fired in the assassination. “We are checking to see if there are CCTVs installed near the incident,” Inquiry officer Muhammad Arshad said, adding that they wanted to determine whether the assailants were following her or were waiting at a particular location. Arshad said that that Sabeen had been receiving threats and that the police were trying to access her cell phone records. Leaders of various political parties, including MQM chief Altaf Hussain condemned the attack and demanded that the culprits be brought to book. Prime Minister Nawaz Sharif too has extended condolences to the bereaved family of Sabeen. He has also asked concerned authorities to thoroughly investigate the incident and submit report to him. Sindh Chief Minister Syed Qaim Ali Shah has also sought a report from IGP Sindh over the incident and ordered the police to arrest the assailants. On Saturday, Shah directed the concerned authorities to constitute a judicial commission to probe the target killing of T2F director Sabeen Mahmud. According to the CM’s spokesperson, directives have been issued to Home Department to issue a notification of the commission without any delay. Acting President Mian Raza Rabbani, while strongly condemning the target killing of Sabeen Mahmud, said that Karachi had lost one of its greatest assets. Terming it an attack on freedom of speech and expression, Rabbani directed Chief Minister Sindh to submit a report on the brutal murder immediately and to arrest those responsible within 72 hours. The Acting President also directed the authorities concerned to ensure the provision of best medical treatment to Sabeen’s mother who was injured in the attack. Former president Asif Ali Zardari too condemned the brutal targeted assassination and called for the arrest and punishment for the attackers. Zardari’s spokesperson, quoting the former president, added that the timing and location of the crime scene and the issues Sabeen was known to advocate raise questions about the motives behind this seemingly targeted assassination and it needs to be probed. Meanwhile, an investigation team headed by south zone police chief DIG Dr Jameel Ahmed has been constituted to probe Sabeen’s murder. SSP South Tariq Dharejo and SSP Investigations Faizullah Korejo have also been included in the team, which has been tasked to submit its initial report within three days. Police have also detained Sabeen’s driver Ghulam Abbas for questioning. 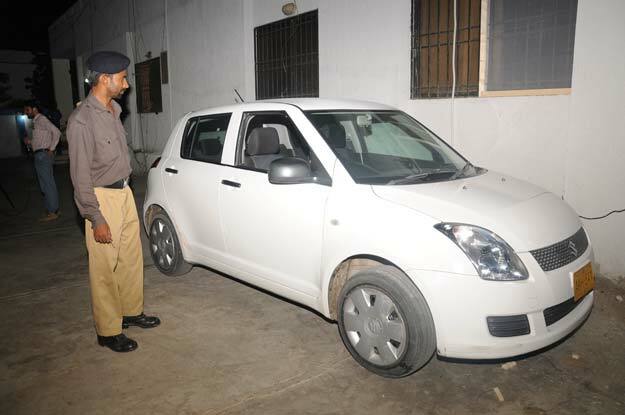 Abbas is a constable with the Excise Police and used to work as a part time driver. Talking to The Express Tribune, Mama Qadeer condemned the attack and that Sabeen and her mother departed from the venue shortly after the event had ended. “The programme went really well and the response was great. Once the event ended, we stayed back at the venue for a bit. Sabeen then told us that she was going to leave since her house was far,” said Qadeer. “Shortly after Sabeen left, we heard gunshots,” he added. Qadeer said the event was initially supposed to be held on April 21 at a different location, but the venue was later changed after the organisers started receiving threats. Fellow panelist for Friday’s event, Muhammad Ali Talpur said that they had lost an honest and dedicated friend. 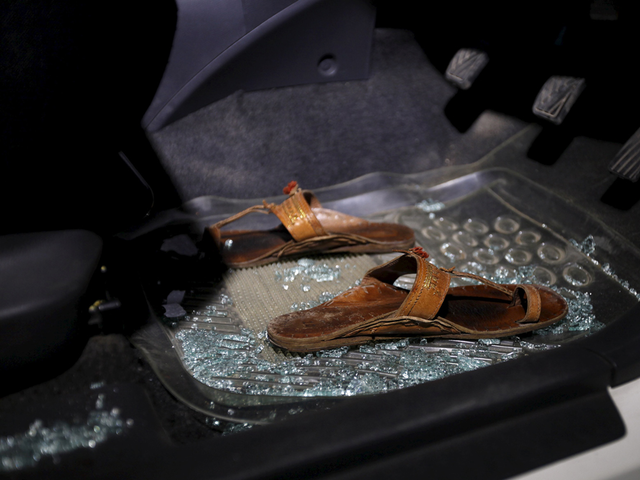 As news about the attack spread, many who knew Sabeen expressed their shock and grief. Hours after the attack, the official Facebook page and Twitter account of T2F became inaccessible. They were restored later. Please God save us all . This is frightening horrifying news. Sabeen Mahmud. “I felt so hopeless about this country, and then when I started meeting people here we got strength from each other" Sabeen Mahmud. What sort of a monster would do that to her? She never hurt anyone. Why? After the horrific attack that left Sabeen dead, a special last-minute panel is going to be held at Islamabad Literature Festival today (Saturday) at 3:30pm in her memory. The panel will be held by Pakistani author Mohammad Hanif, writer Shandana Minhas and Dr Framji Minwalla, Assistant Professor and Chairperson of the Social Sciences & Liberal Arts department of the Institute of Business Administration (IBA). They shot over a hundred kids just a few months ago. Why are we even surprised anymore? My friends please read my words carefully for I wish to sum up the collective thinking of our nation. We always assume the worst especially from our security agencies who rarely get credit but always are facing the flak of our ill informed people and pseudo liberals. For once can we just think that maybe this was an attempt to malign the rangers? The only ones who are benefited by silencing Balochistan are definitely not the TTP or any political parties. That organization is the same that was targeted when Hamid Mir was targeted. @Observer Saleem Shahzad’s murder “investigation” was such a shoddy job, it felt like he might’ve murdered himself. Such will be the case of Sabeen’s job too if it’s also an inside job. Autopsy for Saleem Shahzad revealed his death was due to a puncture from a broken rib cage bone (most likely due to strong impact from torture). Shuja Pasha was accused by chief of US armed forces for being responsible for Shahzad’s death owing to his two articles highlighting the ineptitude of ISI detailing the days leading up to attacks on Karachi Naval bases. Hamid Mir was similarly targeted (for talking about missing persons cases in Balochistan) but luckily survived. WOW!!!!! Unbelievable. A woman and such wanton killing ? Is it a mere formality? When Hamid Mir spoke up about Balochistan and was shot, ‘official’ detractors said that it was a staged ‘suicide”. Now when this courageous lady held a talk on Balochistan she was promptly gunned down. I wonder what these detractors will have to say now? In Pakistan we can openly talk about the oppression in Palestine and Kashmir, but the loud and clear message is that if one talks publicly about the oppression in Balochistan expect to get a bullet in the head. RIP Sabeen Mahsud. May God bless you. Just heard the news…Im overwhelmed with grief. Goes to show how powerful an effect a tiny place like T2F made…someone’s cage got rattled..
Its so tragic to see everyone pitted against each other and dont want to dialogue when its initiated with a genuine intent. ….and if and when the criminals are caught and brought before the judge, most likely he will decided that this is not a terrorist act…..and the circus will start again……justice will never be done. The nation of Pakistan continues to face various challenges in the form of terrorism, and it is easy to see that the enemies of peace remain focused on destabilizing the country. We hope the ones responsible for murdering Sabeen Mahmud are caught and punished to the fullest extent of the law. Our prayers and thoughts are with Sabeen Mahmud’s family and friends during this difficult time.